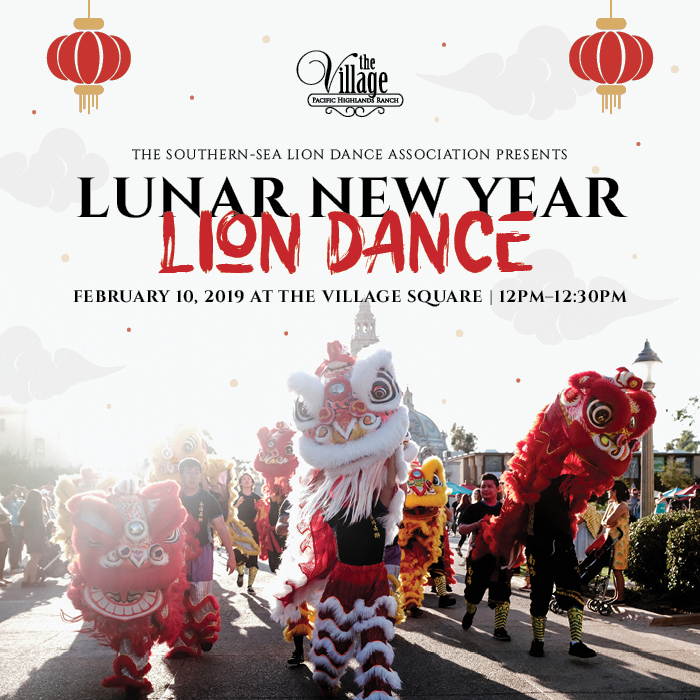 Join us as we bring in the Year of the Pig with auspicious blessings and wishes of Good fortune with a 30-minute Lion Dance performance! Stop by Fresh Brothers before or after the performance. They will be offering free samples from 11:30am-1pm on their patio. Sign up for your chance to win a $100 Gift Card from WESTROOT tavern! For stylish and refined apartment living in Carmel Valley, check out Sola at Pacific Highlands Ranch.